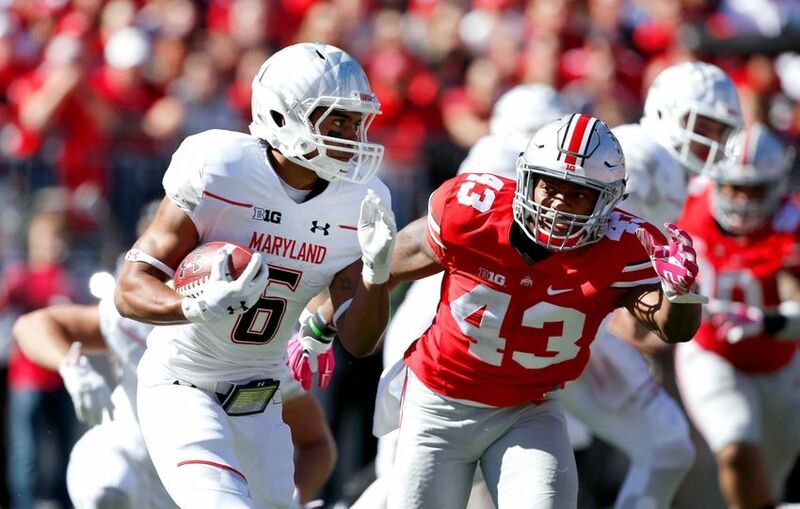 The Maryland Terrapins have already suffered two major injuries to key players, during their 51-41 over the Texas Longhorns. COLLEGE PARK, Md. 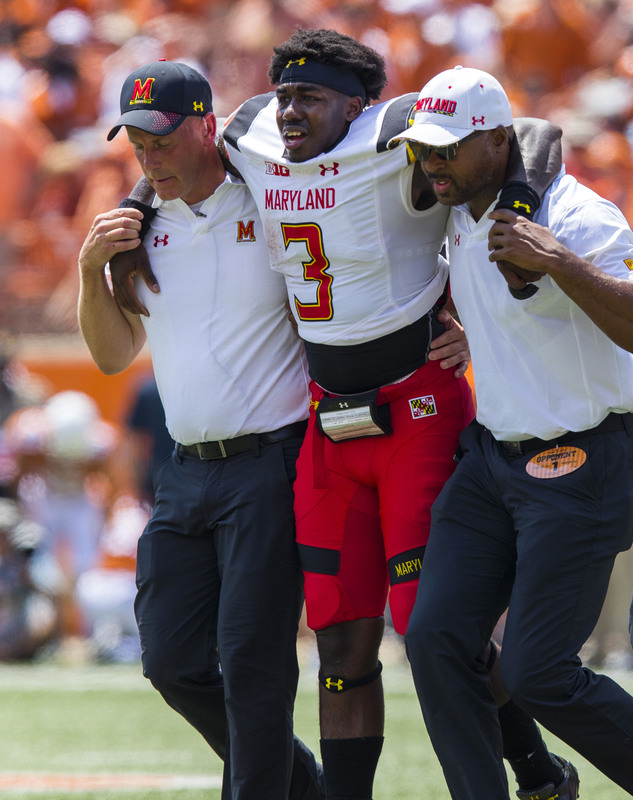 — Terps starting sophomore quarterback Tyrrell Pigrome tore his ACL on Saturday and will miss the remainder of the season. Defensive end Jesse Aniebonam is out indefinitely with a fractured ankle. Both injuries were announced by head coach D.J. Durkin on Tuesday. “He’s mentally tough, he’s physically tough. He’ll bounce back and be as good as ever,” Durkin said of Pigrome. 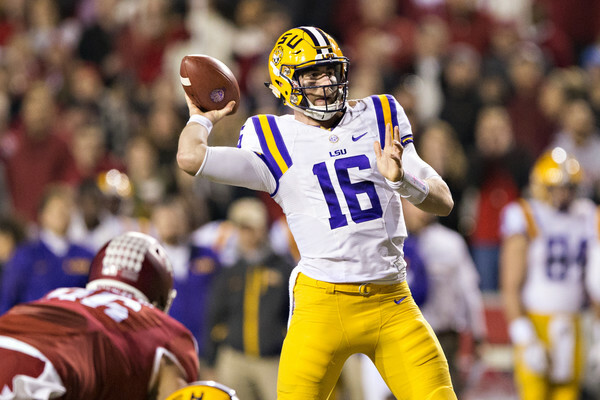 Pigrome went 9-12 (75%) on passing attempts for 175 yards, two touchdowns and one interception in Saturday’s game versus Texas. He also rushed the ball 11 times for 64 yards and a touchdown. True freshman Kasim Hill is now the presumptive starter at the quarterback position. Hill will be backed up by sophomore Max Bortenschlager. Hill was impressive in relief, going 3-3 (100%), passing for 44 yards and rushing the ball five times for 14 yards and a touchdown. Hill would’ve most likely seen some time on the field this season anyway. However, with Pigrome’s injury, the process has been accelerated. Hill was a highly touted recruit out of St. John’s College in Washington D.C. His first start will come against the Towson Tigers, who are coming off of a victory against the Morgan State Bears in the Battle of Greater Baltimore. Aniebonam was the team leader in sacks last season with nine. His injury will require him to miss a few months after suffering the fractured ankle in the third quarter. He had two tackles before going down. The senior will most likely be replaced by redshirt junior Melvin Keihn, according to Thomas Kendziora of Testudo Times. True freshman Bryce Brand will see some time as well and recorded a sack against the Longhorns in Saturday’s victory.